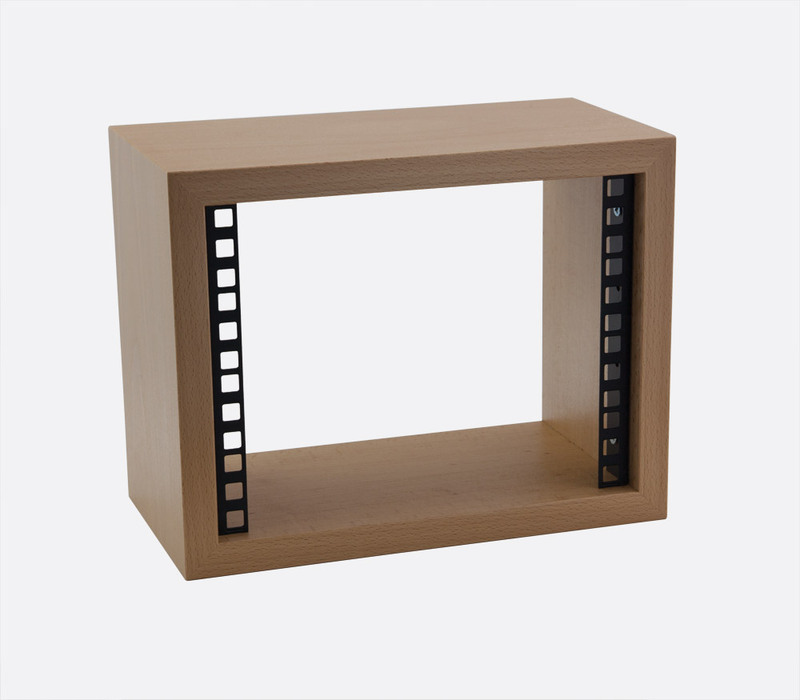 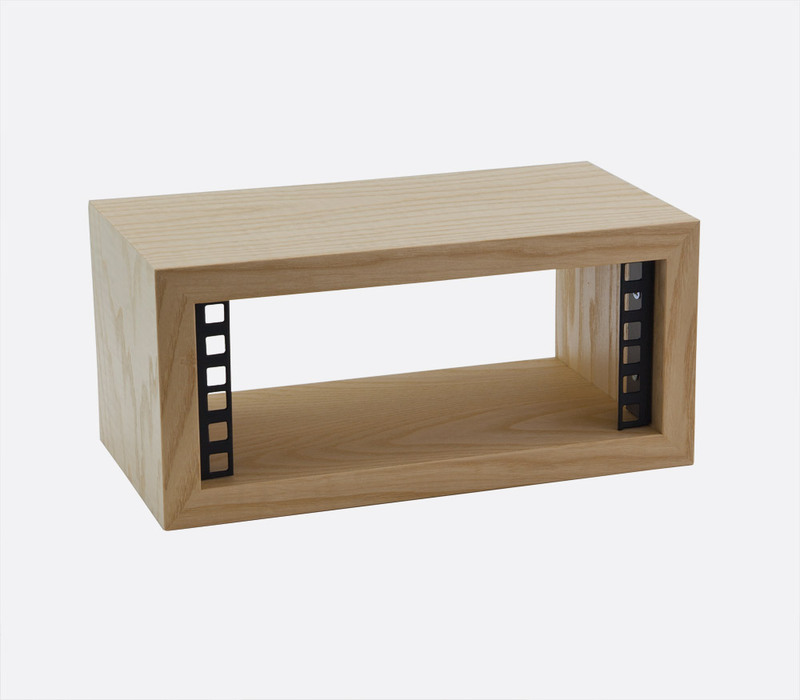 With an overall depth of 150mm and providing 140mm of usable space, this range of compact wooden manufactured, half rack width mini pods are designed for use in studio, home, educational and commercial environments. 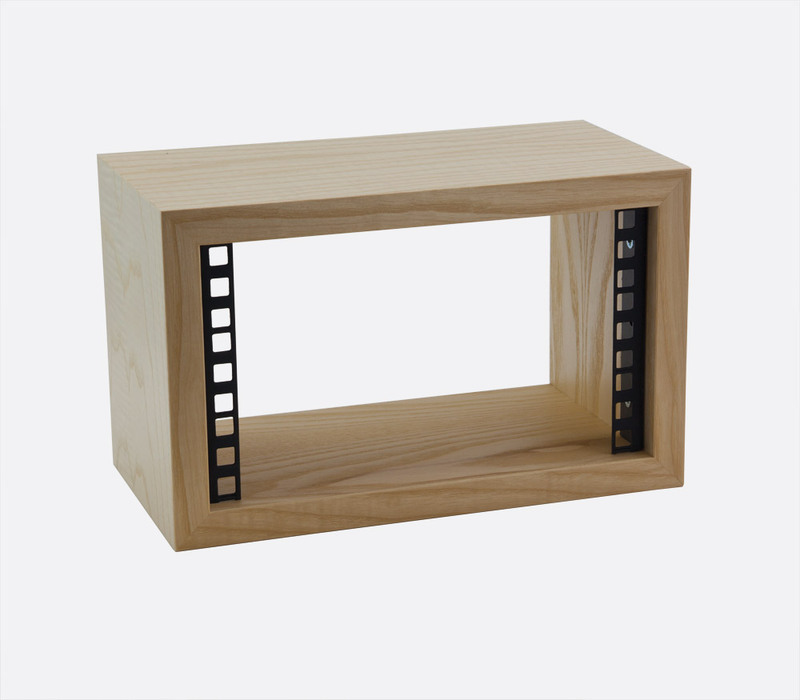 Each unit comes fully assembled and is supplied complete with punched rack strip to the front face. The rack strip has three holes per 1U and is recessed by 10mm from the front of the case. 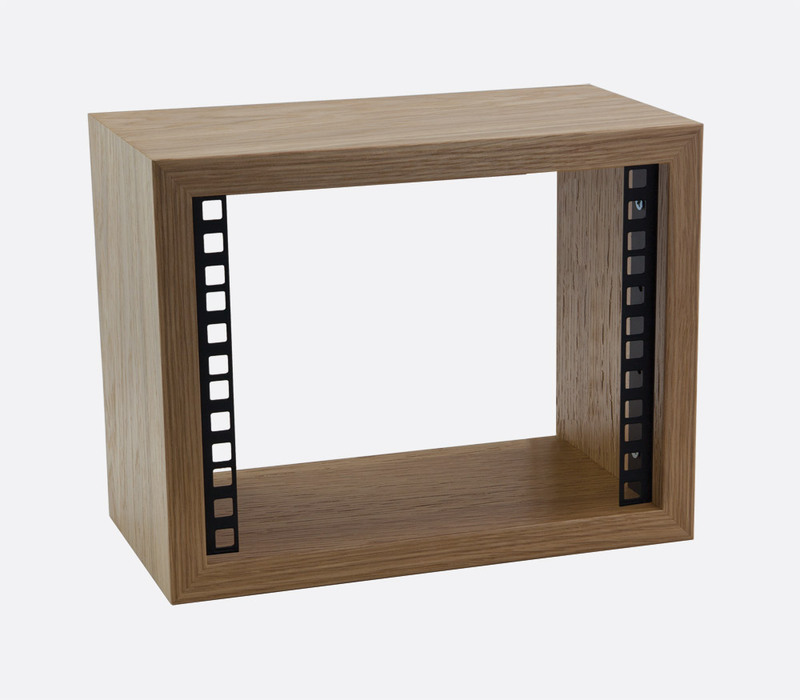 The rear of the case is open. Available in Ash, Oak, or Beech wood veneers and options of 2U, 3U, or 4U. Other sizes and veneers are available as special order. 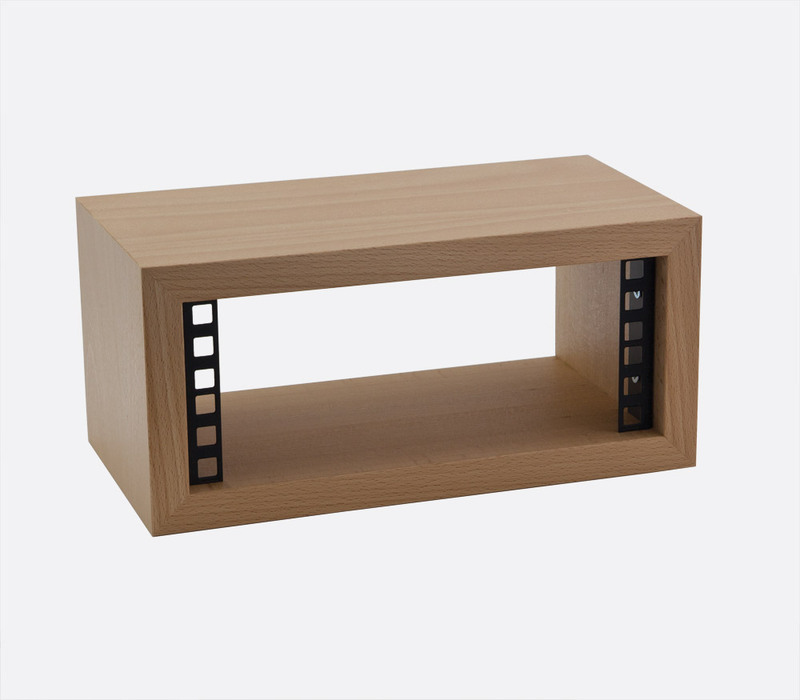 Four self-adhesive feet are supplied for use when required for desktop applications. 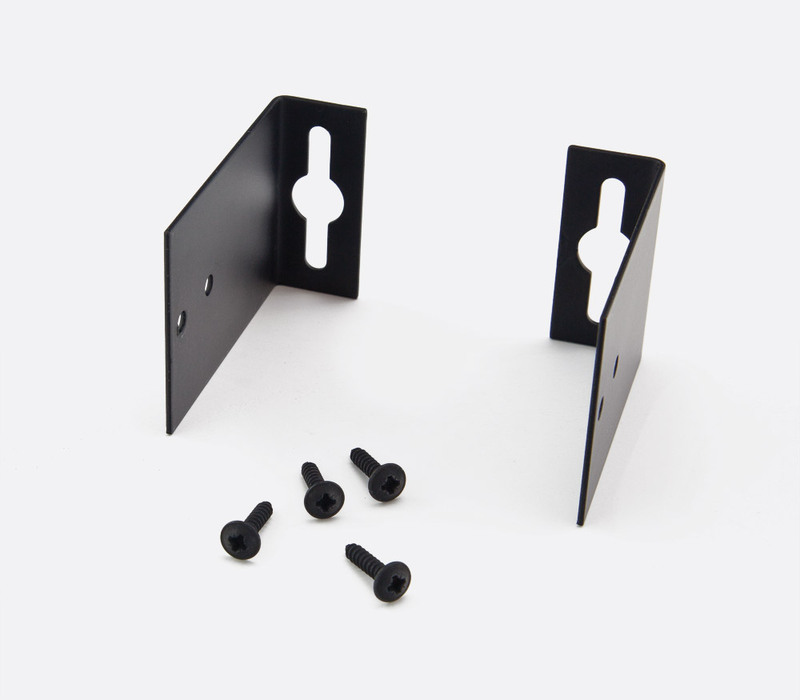 Each mini pod can be easily converted for wall-mounted application by combining with a single WFK1 wall-mounting fixing kit.